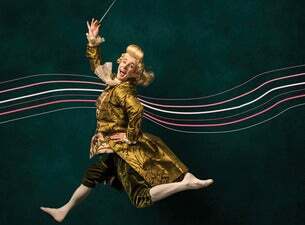 The thrill of circus, the mayhem of Mozart! Straight from the score and onto the stage, the man known as Mozart appears amid a storm of powder, tumbling and twirling. Designed to amaze people of all ages, music and circus come together in this family summer holiday show! Created by Circa.